Only 14 left in stock (more on the way). Ships from and sold by Amazon.com. Gift-wrap available. 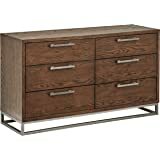 In keeping with the collections transitional design, the Madison double dresser offers elegant simplicity with just the right amount of contemporary flair. 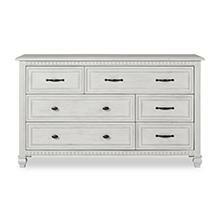 With understated raised paneling, solid wood drawer pulls and architecturally angled base the dresser is designed with forward-thinking functionality for both nursery and full bedroom usage. 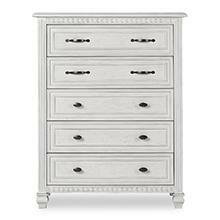 With three smaller top drawers followed by four generously sized lower the dresser is designed to accommodate a variety of storage needs. 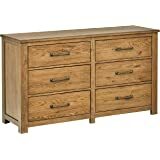 All drawers are made with a solid five panel wood constructions with English dove tailing and durable three tier extension drawer glides to provide easy access and years of lasting durability. 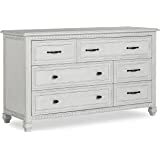 This dresser can also serve as a changing surface by adding a contour pad (sold separately). 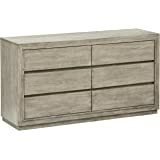 Madison Tall Chest can be used instead or alongside the Double dresser. With hand crafted designer feet, its gender neutral styling transitions effortlessly to an age appropriate bedroom: infant, toddler, teen and beyond. 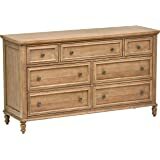 The chest has two smaller drawers on its top tier followed by four large drawers below. 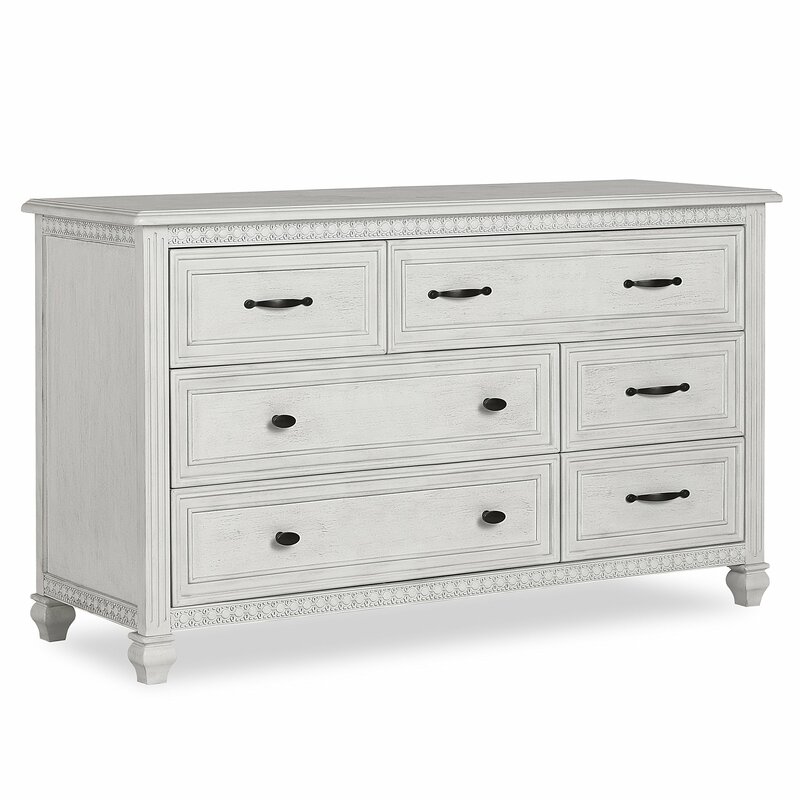 Evolur Tall Chests are amongst storage furniture that offer the largest storage capacities of any juvenile furniture in the market. 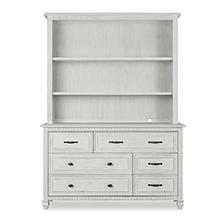 Évolur Madison combination Hutch/Bookcase is a multi-functional unit. 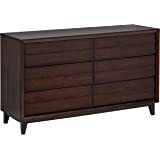 It has a fixed upper-shelf and a lower, removable shelf that can be adjusted while using the double dresser as a changing surface. 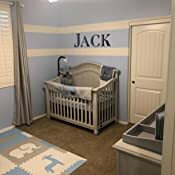 Once the changing station need is outgrown, by replacing the removed shelf, the hutch becomes a decorative showcase for keepsakes, pictures frames, books, trophies and other memorabilia. 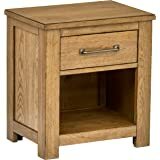 The base, when connected, allows you to transform the hutch into free standing bookcase. 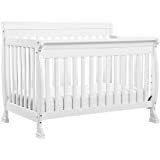 Évolur convertible crib guard rail is used to convert a crib into a toddler bed to help keep your little one safe and secure in the toddler bed stage. 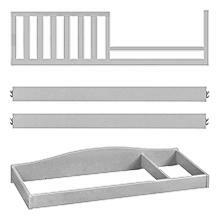 Conversion kit is an optional rail system with can later convert the crib to a full size bed. 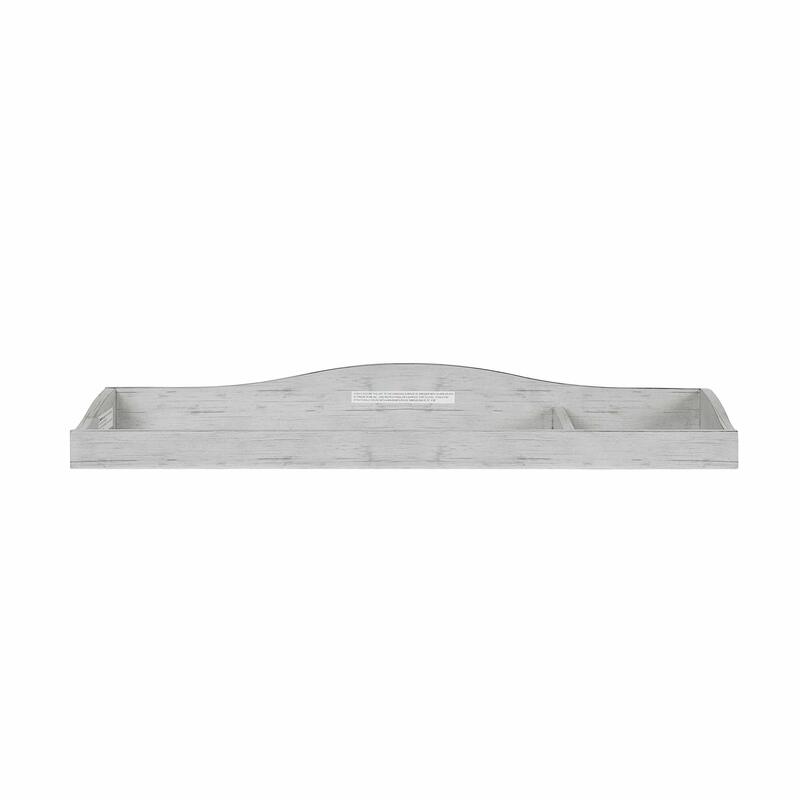 Not only will it be fully functional when converted to a full size bed, but it will look beautiful in the room. And create a comfortable changing space for your little one with the Evolur Changing Topper. 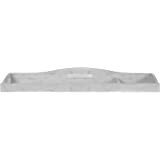 To keep your space organized, this changing topper features a small storage area for frequently used items. With fitted, enclosed sides, a changing pad (sold separately) easily fits within the topper to enhance your youngster’s changing station. 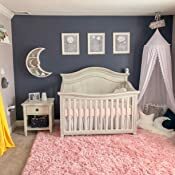 Evolur proudly designs and builds high value baby furniture which is made of solid wood construction, the baby furniture collections by Evolur come in both contemporary and traditional styles. All pieces are crafted to be strong, beautiful and ageless. "The évolur Madison Collection is crafted out of kiln-dried, premium hardwood with fine veneers. The Santa Fe is designed, developed and engineered in USA with highest safety standard that meet and exceed those set by the Consumer Product Safety Commission and American Society for testing and materials. 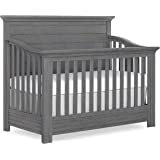 The Madison crib converts to a charming toddler bed with our conversion kit (sold separately), daybed and the back panel converts to a full-size bed headboard with the simple addition of our wooden bed frame (sold separately). 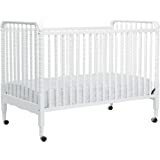 The crib is suitable for a standard-size crib mattress. 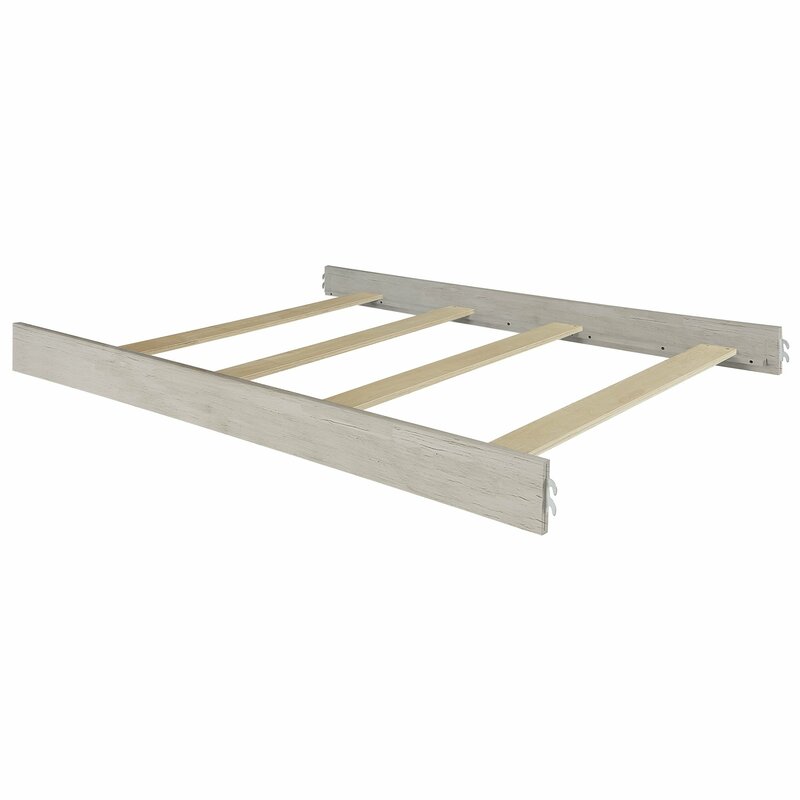 We recommend évolur Sleep or Dream On Me crib mattresses for a perfect fit. 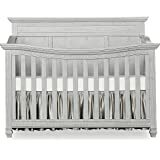 The Madison Collection: Lifestyle 5-in-1 convertible crib, double dresser, tall chest, nightstand, hutch/bookcase Add-ons: Guard rail conversion kit, bed-frame, changing station in matching finish Finishes: Antique Mist, Brush White, Weathered Grey and Storm Grey . Shipping Dimensions: 63.00″ L x 55.00″ W x 12.00″ H and Weight is 111 lbs. Warranty: 1 year limited manufacturer's warranty. Assembly: Required "
5.0 out of 5 starsVery well built. Ordered this for our upcoming little boy. 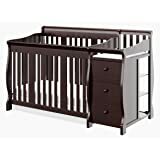 Crib was easy to put together and is very sturdy and heavy. Assembly was easy and came with all of the necessary tools. My only complaint is that the items needed to convert it into a toddler bed, and eventually a bed were not included. You would think for $600.00 you would get it all. I bought those separately (which Amazon did not carry. Had to order them from buy buy baby) for about $350.00 additional dollars. So in total it's really about $950.00. I recommend buying that stuff now because in s couple of years who knows if they will still be available. 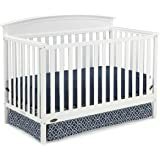 5.0 out of 5 stars100% satisfied with this crib!!!! This is exactly what we wanted! 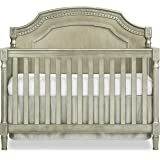 We tried other stores because we wanted to see the crib before we bought it. 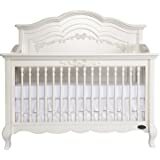 After much frustration of trying to get a crib from BuyBuy Baby (forget trying to get anything from there) we finally decided to buy this one. 100% worth it. On time delivery, no damage, easy to assemble, worth every penny. Great quality for the price. It’s hard to find decent furniture these days. I was skeptical at first buying the furniture online without being able to see the color and quality in person. It won’t disappoint for the price. It is much better quality then furniture that you have to assemble. All of the Evolur furniture comes pre assembled. 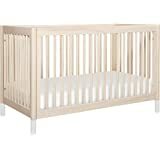 The crib does come in pieces though because it has to since it is a 5 in 1 convertible crib/bed. Very easy to put together in less than 10 minutes. It’s the best quality furniture that you are going to get these days without spending thousands at a high end furniture store. 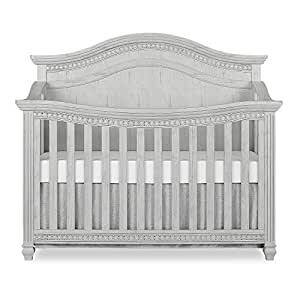 if you're looking for a luxurious, heavy duty, beautifully built crib, look no further! the crib looks exactly like the pictures, if not better in person. i was nervous buying furniture i had never seen in person and was hoping the quality was up to my high maintenance standards... but it was well surpassed. i promise, you won't regret it. This was a gift for my new grandbaby's room. Mom and Dad are very happy with this, seems well made and perfect for the room. Beautiful crib. The color is a very subtle light grey. It was easy to assemble. It took longer to take everything out of box than it did to assemble. My only complaint is the huge warning stickers on the crib took forever to remove. Did the manufacturers use industrial strength glue or something? 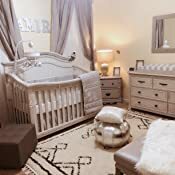 We were extremely pleasantly surprised with the quality of this entire nursery suite. 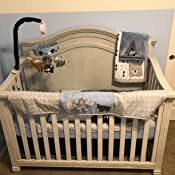 The crib is gorgeous, really sturdy/great quality, easy to assemble and the fact that’s its fully convertible and can last throughout my baby’s childhood makes it really worth the investment. I’d highly recommend.